Not many people can say that they’ve had a pizza named after them. Unless you’re the Queen of Margherita in 1889. 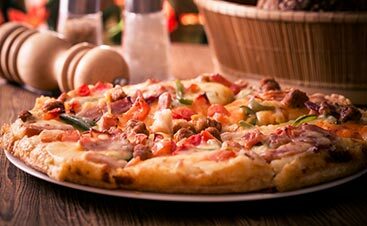 The beginnings of this addictive pizza can be found among the Italian peasants when the queen and king, Umberto I, were traveling around the country. The queen noticed peasants eating large, round flat breads and wanted to have one for herself. 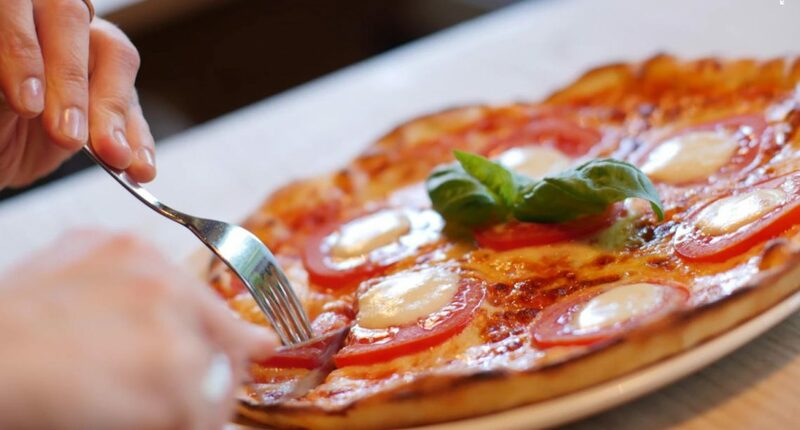 Eating the flatbread became a tradition for Queen Margherita and it was soon put into the books when a pizza maker, Raffaele Esposito created a pizza with the Italian flag’s colors: red sauce, green basil, and white cheese. So why do we love this simple pizza so much? There isn’t one standard crust across the board for margherita pizzas. One restaurant may serve up thin, cracker-like crust, another will serve up a crust that is thick and airy, or there can be anything in between. The key to the crust being exactly what you’ve dreamed of is cooking it at the right temperature. With the right amount of yeast, warm water, and the right variety of flour, the crust will bubble up just right so that your teeth can sink into the steamy dough. The heat of the oven will give the bottom the perfect crispy texture that allows you to hold onto the crust and it will easily handle the sauce and cheese on top. Oh, the sauce! A simply tomato recipe is part of what makes this pizza so fresh and mouth-watering. Again, every restaurant is different. 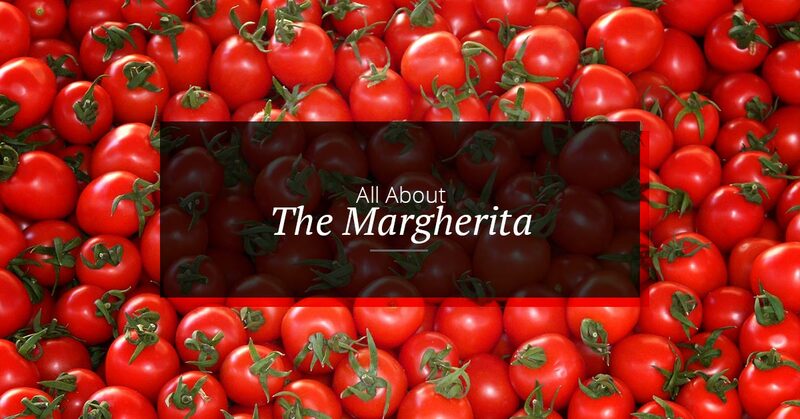 But if you love margherita as much as we do, you may just want to go out of your way to try them all. 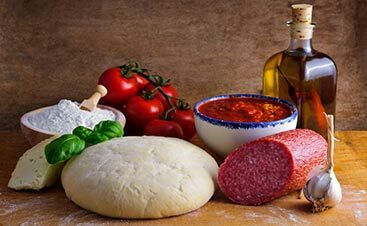 Many restaurants will use pureed San Marzano tomatoes, but a can of whole, peeled tomatoes will give the pizza the perfect level of acidity that balances the flavor of the cheese. Add enough to cover the dough and a splash more to give the pizza a juicy and moist texture. Our mouths are watering just thinking about the salty, stretchy mozzarella cheese. While there are some restaurants that will use provolone or parmesan to garnish the pizza with, to keep it perfectly simple, stick with either low- or high-moisture mozzarella. 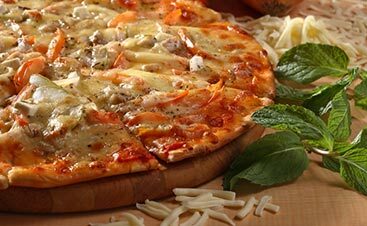 High-moisture cheese will give the pizza some additional juice perfect for thicker crusts. Low-moisture cheese has a saltier and denser flavor. There’s also the fat content to consider. The higher the fat content, the stretchier the cheese will be, which, of course, is what every pizza lover is looking for. A few shreds of basil is what brings the entire pizza together and creates that to-die-for flavor combination. Basil means “king” in Greek, making this green plant the king of herbs. The strong smell and slightly peppery flavor is the perfect complement to the salty cheese and the acidic sauce. If you can manage to get a piece of basil in each bite of margherita pizza, you may have found heaven. While there are other common ingredients in this pizza, like oregano, olive oil, and salt, it doesn’t take a long list to create a masterpiece. Chefs everywhere have spent recipe after recipe perfecting that one margherita to beat them all. At Upper Crust Pizza in Santa Fe, we believe we have found a version that you will keep coming back to. Visit us tonight!